There are always the annual anniversary articles of remembrance, patriotism and honor that reappear around observed holidays or prominent historical dates, like the upcoming anniversary of the September 11th attacks. However, modern historical events like 9/11 are slow to make their way on to the main pages of history books or classroom discussions. There are thousands of people across the country that breathe that history every day as the effects of such events are real and enduring. Lt. Paul Geidel (FDNY R1-ret) is one of those remarkable people, who has experienced life to an unmeasurable level in all the good and bad ways. Paul Geidel is a Korean War veteran serving as a gunner on a B-26 Invader. Following his storied Air Force career, Paul joined the New York City Fire Department in 1957 with the last half of his fire career assigned to FDNY Rescue 1 in Manhattan. All three of Paul’s sons followed in their father’s footsteps and became proud FDNY firefighters. Two of them even served on Rescue 1 just like their dad. Paul Geidel retired from FDNY in the late 1970s, but Paul stands apart from most retirees in the fact that he was forced to gear up once again over twenty years later following the September 11th attacks. On September 11, 2001, Paul’s son, Gary, was killed during the attacks while responding with Rescue 1. Paul and his other two sons spent 8½ months at Ground Zero searching for Gary and helping recover others. Gary was never found and the effects of their time digging at Ground Zero remain evident today. Paul lost his son, Ralph, in 2015 from illnesses related to his time at Ground Zero and he battles his own serious health issues today. 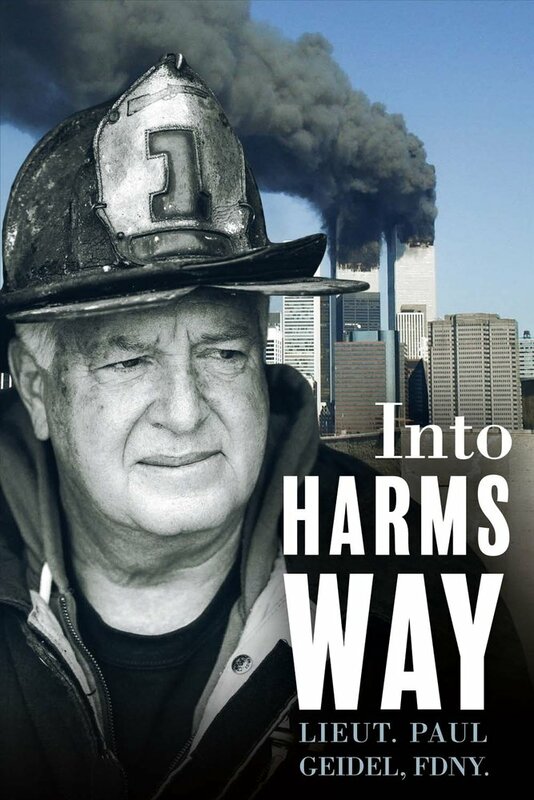 In the face of mounting health struggles, Paul recently published a book sharing his stories and life experiences, called Into Harms Way (Available on Amazon -- https://www.amazon.com/Into-Harms-Way-Paul-Geidel/dp/1483599701/ref=sr_1_1?ie=UTF8&qid=1500315306&sr=8-1&keywords=into+harms+way ). His book is easily understood to be his way of inking history onto paper, so as to keep it alive even after he is gone. As the 16th anniversary of the September 11th attacks draws near, we are reminded that Paul Geidel is one of thousands of continued stories where history is not just remembered annually, but remains clear and present every day.